At West Linn Vision Center, we are pleased to offer a wide range of optometry services for our community! Our experienced optometrists can provide you with thorough eye evaluations, determine if you need corrective lenses and your exact prescription strength, fit you with the appropriate specialty eyewear, and help you pick out the most flattering pair of glasses for your face shape and skin tone. Our comprehensive exam covers a complete medical history with your eye and general health. Tests include visual acuity, muscle balance tests, peripheral vision and papillary responses. A refraction determines your best possible vision at both distance and near. In addition to your vision the doctor will measure your intraocular eye pressure and examine all structures of your eye from the cornea in the front of your eye to your retina in the back of your eye. After evaluating all the data the doctor will discuss the various treatment options to allow you to see your best. Click the button for more about our Comprehensive Eye Exams! In addition to the comprehensive eye exam all contact lens wearers need additional testing in order to safely wear contact lenses. All contact lens exams include the following: Complete analysis of contact lens prescription requirement, evaluation of previous contact lens history, lens type, wearing schedules, evaluation of your eye’s particular physiological requirements related to wearing lenses. Diagnostic lenses and fitting various lens modalities based on your prescription will render a final contact lens prescription. For current wearers, the current contact lens fit is evaluated to insure the eyes and contact lenses are compatible. Changes to the fit and power of the contact lenses will be prescribed as necessary to promote continued eye health and best vision. The doctors will discuss new contact lenses that become available when appropriate. Certain medical conditions like diabetes, glaucoma and macular degeneration often require more than a vision exam including additional testing or you may need to be seen more often than your vision insurance allows. We can bill your medical insurance for these procedures. Occasionally an acute situation can arise that needs an urgent exam. Our doctors are ready to see you as needed. These visits typically involve your medical insurance which is often based on a co-pay and your annual deductible. American Optometric Association recommends that children have their first eye exam between 6 and 12 months of age. Our doctors participate in the InfantSEE program. Through InfantSEE, our optometrists will provide a one-time, comprehensive eye assessment for infants in their first year of life, offering early detection of potential eye and vision problems at no cost. This is a critical time for eye and vision development, and our optometrists have the experience, as well as, the instruments and resources to provide the most effective primary eye and vision services to infants. The best way to protect your vision is with a yearly eye checkup. 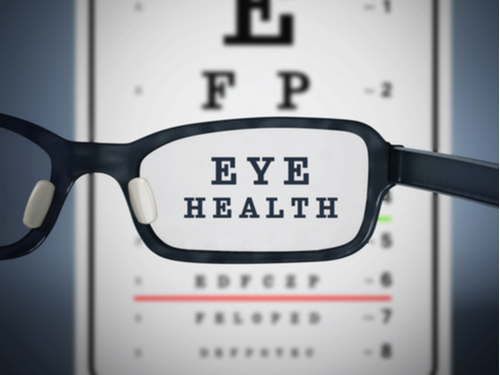 Regularly scheduled eye exams are critical to maintaining good health. LASIK (Laser In-situ Keratomileusis) is currently the most technologically advanced refractive surgical procedure to reduce or eliminate near-sightedness, far-sightedness, and astigmatism. The procedure involves reshaping the cornea with an extremely precise laser so that light entering the eye is correctly focused. Our doctors work with several LASIK surgeons and can assist each patient in choosing the best surgeon. All pre-operative and post-operative care is conveniently performed in our office.